The effective and legal way to run a mass email campaign. 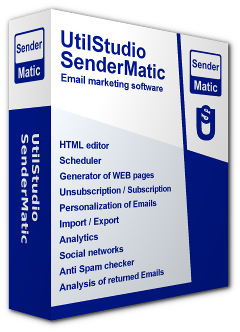 Email marketing software SenderMatic is a reliable, professional program for sending bulk emails, newsletters and managing of the email address lists. 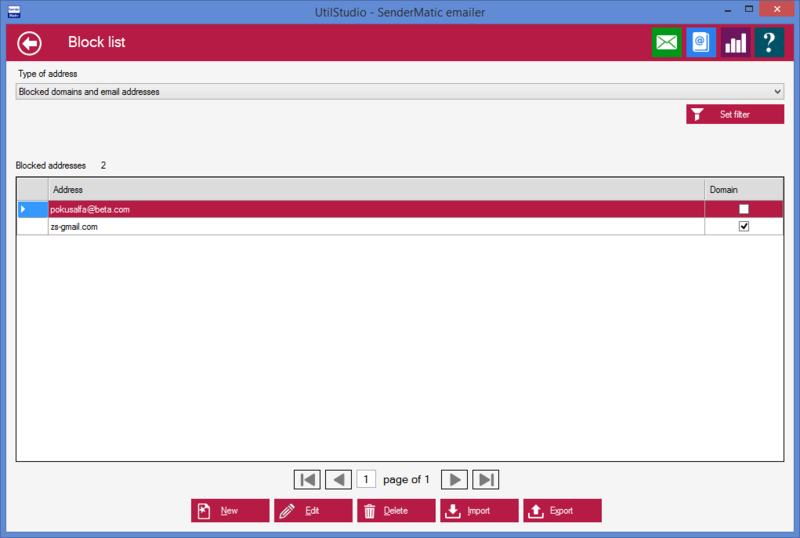 The free edition of bulk email sender is available for download and for use. Professional and Enterprise editions for advanced users are available at reasonable prices. For free or for a one-time fee you get the same result as using of expensive web services. Moreover, you are one hundred percent sure that your valuable list of customers will remain yours. Free - time unlimited version is available. No, credit card, no registration is required. 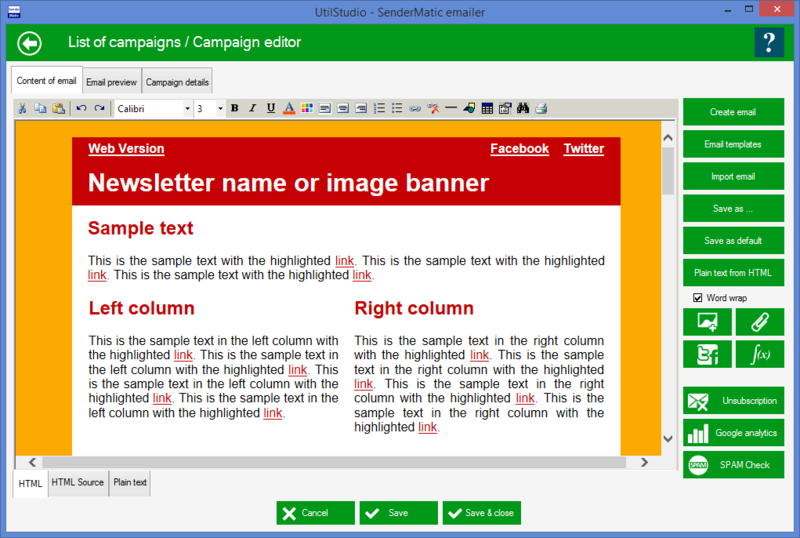 Easily create email campaigns Creating an email marketing campaign is easy. 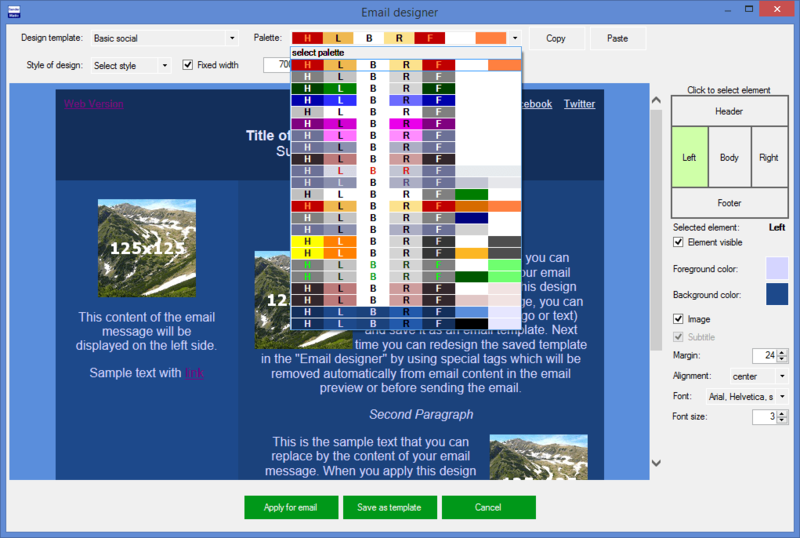 Using a built-in HTML editor, you can write a new e-mail message or you have a possibility to modify some of the prepared templates. 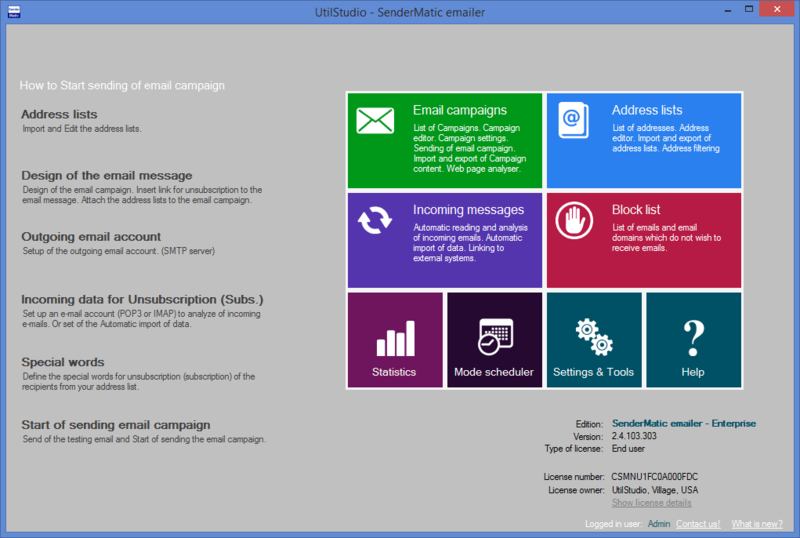 Is your web designer creating an e-mail in an external program? 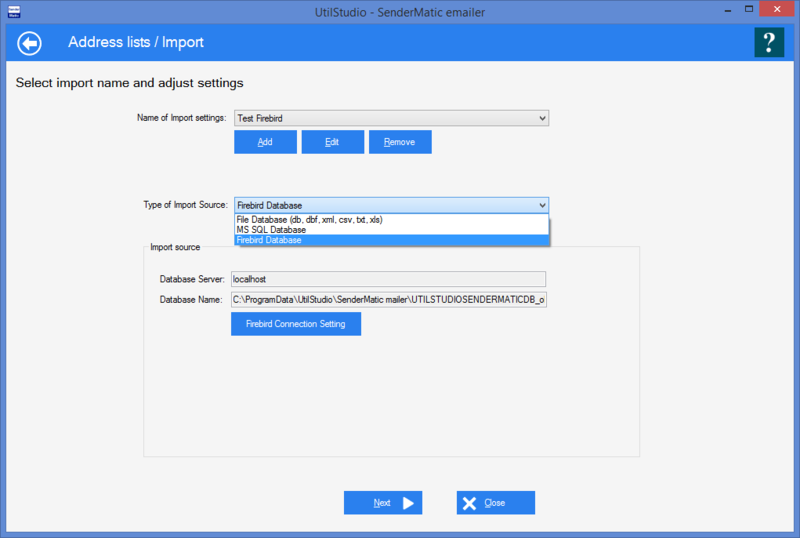 Sofware allows you to import the HTML or EML (email) files without problems. Address book with filtering The address book has no limitation on the number of records. You have a possibility to import addresses from various types of files or directly from data stored in an SQL Server database. Need to send a newsletter to customers from your city, or a birthday offer? Address filtering is the best option for you. The personalization of e-mails This is an excellent way to increase readability of email campaigns. The email message can contain all the data from your address book. This allows you, for example, to include the customer name or embed a unique code for a discount/offer. 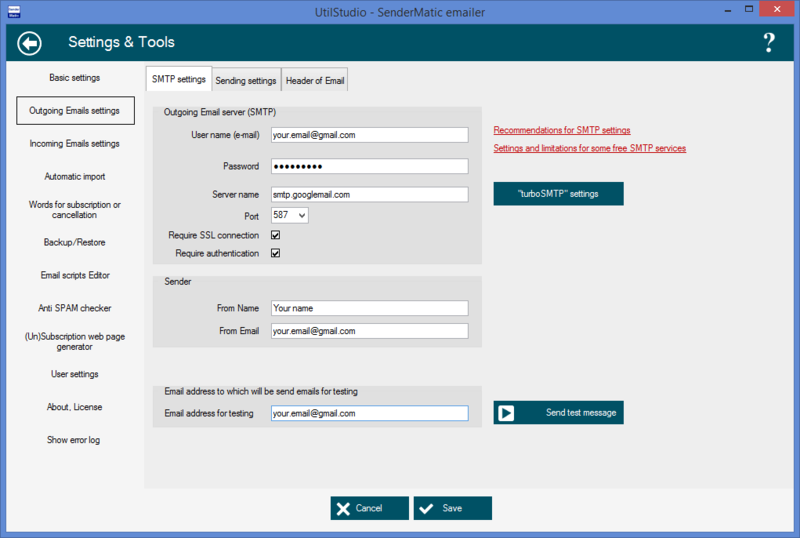 By using of scripting you can dynamicaly modify the content of sending emails. Blocking of email addresses If a customer notifies you they no longer wish to receive the newsletter, it is simple to add their name to the list of blocked addresses. You can also block all addresses for a particular domain, for example, a competitor. 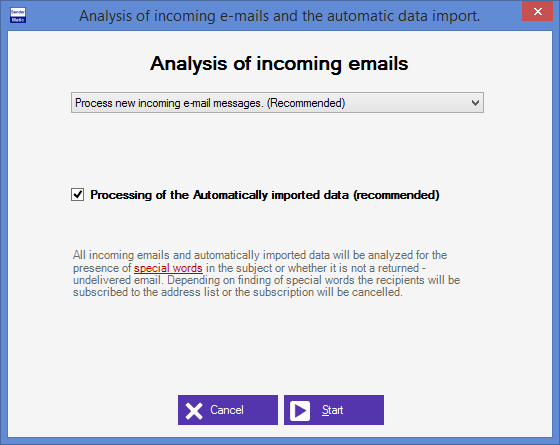 Analysis of incoming email messages You can run an analysis of your inbox at any time, preferably before sending email campaign. 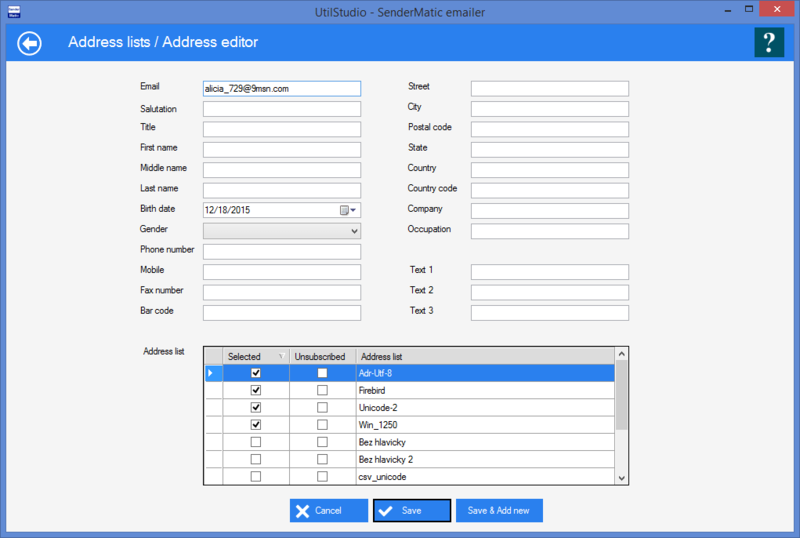 A function which examines the contents of each email message and identifies new registrations, unsubscribed customers from your address list or a returned message. Scheduling mode You know your customers best and only you know the most advantageous time to send a successful advertising campaign. 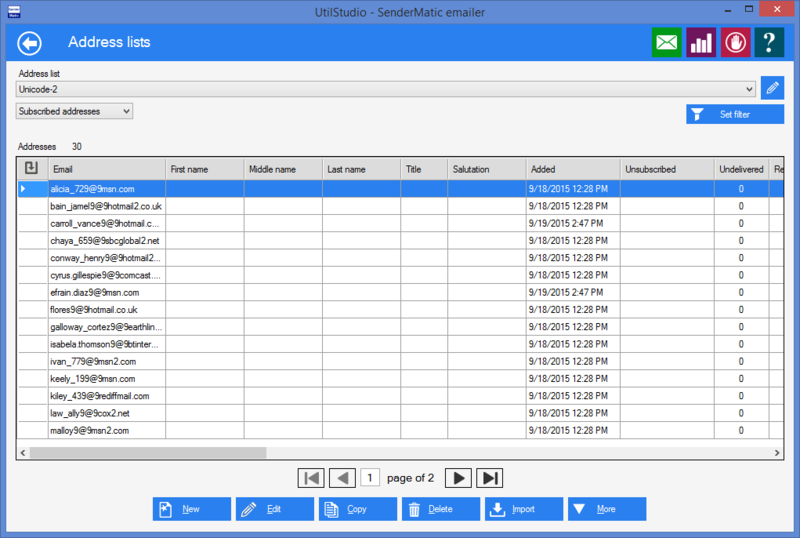 The scheduling mode in SenderMatic can send your bulk emails for you at any time of the day or night. 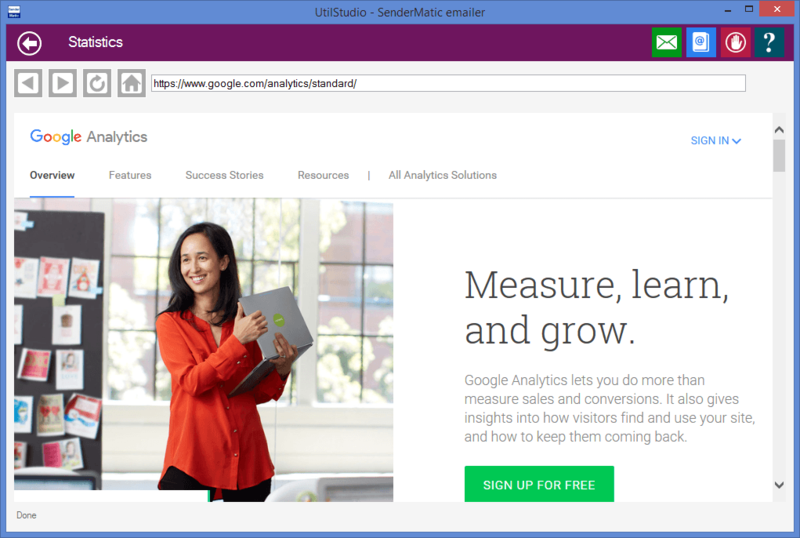 Support for Google Analytics To track the success of your advertising campaigns using Google Analytics, you need only double click this icon and a URL of a campaign will be automatically created by means of a special utm_ parameter. Professional database SenderMatic safely stores your data via a reliable and powerful SQL Server Express edition database from Microsoft or Firebird. SQL Server works effectively on both individual or networked computers.